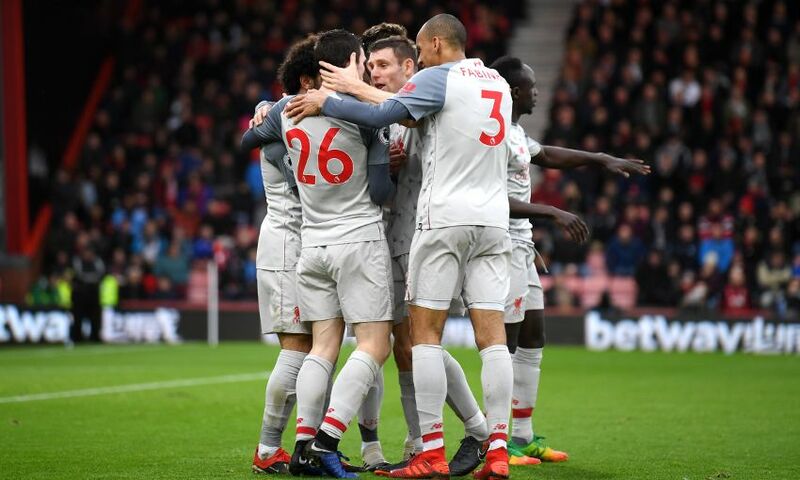 Andy Robertson dedicated Liverpool's 4-0 win at Bournemouth to James Milner, who reached the milestone of 500 Premier League appearances on Saturday. 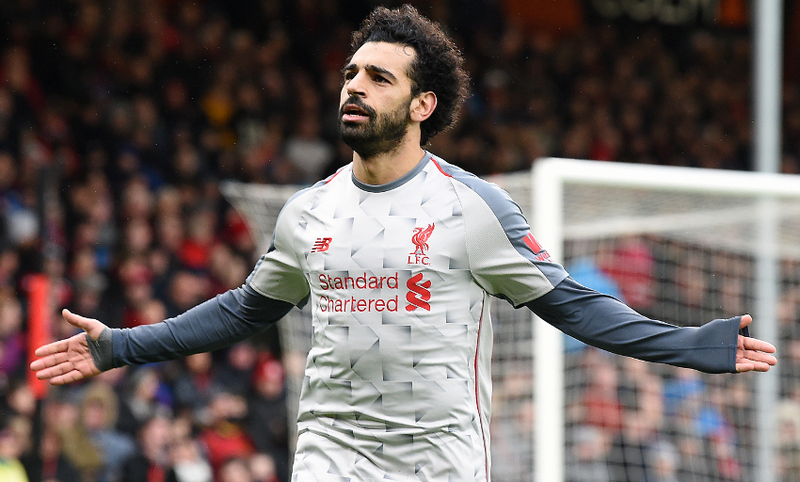 The No.7 was captain at Vitality Stadium as the Reds eased to a comprehensive victory courtesy of Mohamed Salah’s hat-trick and Steve Cook’s own goal. Milner, who played at right-back against the Cherries, became only the 13th man to reach the games landmark and the first since Steven Gerrard in April 2015. “What a career he has had. He has played at the top for all of it and played for some really good clubs,” Robertson told Liverpoolfc.com post-match. “He is still the fittest in the squad and is still pushing himself every single day. I’m sure he’ll go on and do incredible numbers. “What a fantastic achievement for him. Boys can only dream of that and he has managed to do it at a very high level with a lot of trophies. He’ll be hoping to add a few more at this club. Hopefully we can do that. Salah inflicted the damage on Bournemouth with a masterclass of finishing. The Egyptian was the first to react when Roberto Firmino’s hopeful smack from distance was parried out by Asmir Begovic, giving Liverpool a one-goal lead at the interval. His strikes in the second half were sublime, Salah’s balance and agility allowing him to slalom through a series of challenges and eventually find the net. “He was brilliant. He got the [match] ball and rightly so,” said Robertson. “He was running in behind and really stretched their defence, fair play to him. [He was] back to his best, he has been really good this season. He has probably been a bit frustrated with himself but that just shows you the high standards he has got. The other goal on the south coast was forced by Robertson’s firm cross midway through the second period, which Cook clipped into his own net. The Scotland captain has an ongoing assist competition with fellow Reds full-back Trent Alexander-Arnold this season – but isn’t sure he’ll officially add one to his tally. “I tried! I don’t think the lads are giving me it. I’ll try to argue it,” said the No.26 with a smile. The win was Liverpool’s 13th in 16 Premier League matches this season and maintained the relentless pace at the summit alongside Manchester City. Before and after each game, the players have stressed the focus on their own pursuits and Robertson reiterated that mantra despite the Reds leapfrogging City ahead of their meeting with Chelsea. “It’s all we can do,” he said. “When you’re in the chasing pack you can only keep putting the pressure on. “This weekend we had the benefit of playing first, so we go top whether it’s for a brief time or longer. Man City are an incredible team and it’s all about staying with them – we’re doing that just now. For now, Jürgen Klopp’s men must turn their attention to an all-or-nothing Champions League showdown with Napoli on Tuesday night. That European clash is the first of a major double-header at Anfield, with Manchester United set to visit the following Sunday evening. “It’s the start to a big week and a really good one. Four goals and a clean sheet is the perfect way to start,” added Robertson. “We know how important Tuesday is and what we need to do. Then we’ve got a small game against Manchester United!